Be the first to hear about their new releases and deals. Download the Booksprout app and search for Shandi Boyes today! 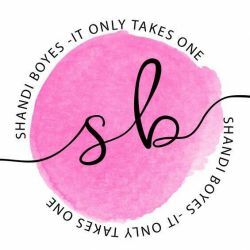 Shandi Boyes is a USA Today Bestselling Author who was an avid reader for many years before she discovered the love of writing in February 2016. Her first penned novel 'Perception of Life’ is a modern new adult rockstar romance that will have you sitting on the edge of your seat until the very last word. In September 2016, her focus shifted to hot alpha men in steamy contemporary reads that sizzle off the pages. Shandi’s penned novel ‘Enigma of Life’ is an award-winning story on FBI agent and the subject she was signed to investigate. Her men are swoon-worthy, devoted, and alpha; and her heroines are strong-willed, determined, and loveable. You should consider starting her stories first thing in the morning or you may not sleep. You will laugh and you will cry, but Shandi's characters will stay with you for a lifetime!